Crossed-the-Bar • Al Smith • 1942 – 2019 – Chesapeake Chapter U.S.L.H.S. Al volunteering at the 2017 MD Lighthouse Challenge. Shortly after he submitted his membership and 40+3 reports for this newsletter, Membership Chairman Al Smith was hospitalized. 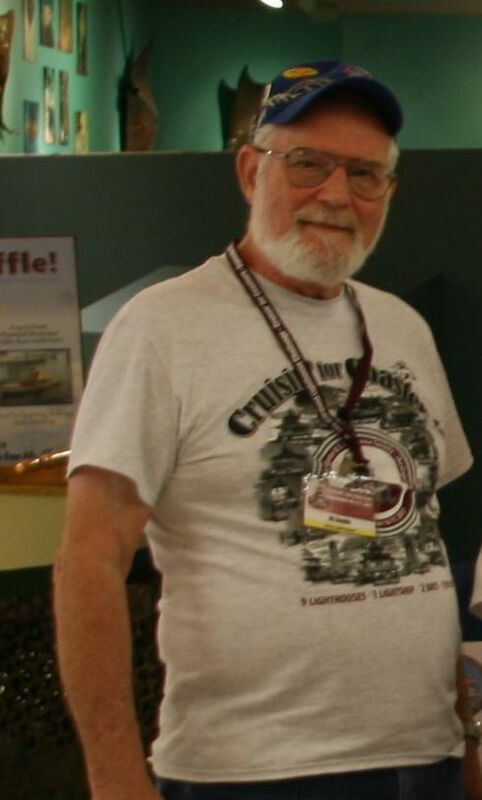 On January 16, Al lost his battle with brain cancer. He had been a member of the Chapter since 1993, joining the board of directors as membership chairman in 2011. Al worked on most, if not all, the preservation projects for the Chapter. Together with his wife BJ, Al volunteered for every Maryland Lighthouse Challenge, mostly at Calvert Marine Museum, but early on at other sites. He and BJ organized and led some memorable trips for the Chapter and both had been active in the New Jersey Lighthouse Society.Those of you who knew him know that he always had a ready smile and his laugh was contagious. There were no strangers in his life, just friends he hadn’t met yet.Al’s passing came while we were readying this newsletter for print. We will have more memories of him in the spring issue.Fair seas and following winds my friend. 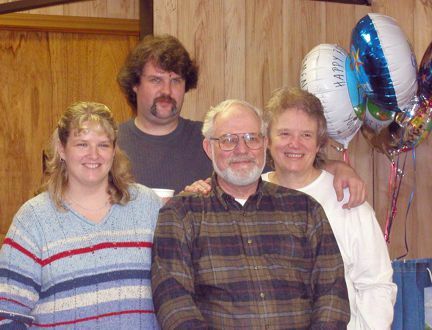 Al with his wife, BJ, and children, Cathy and Michael, at Al’s retirement party in 2002.